Pixelmator 2.1 includes a few housekeeping changes: iOS 9 support with bona fide Slide Over and Split View. 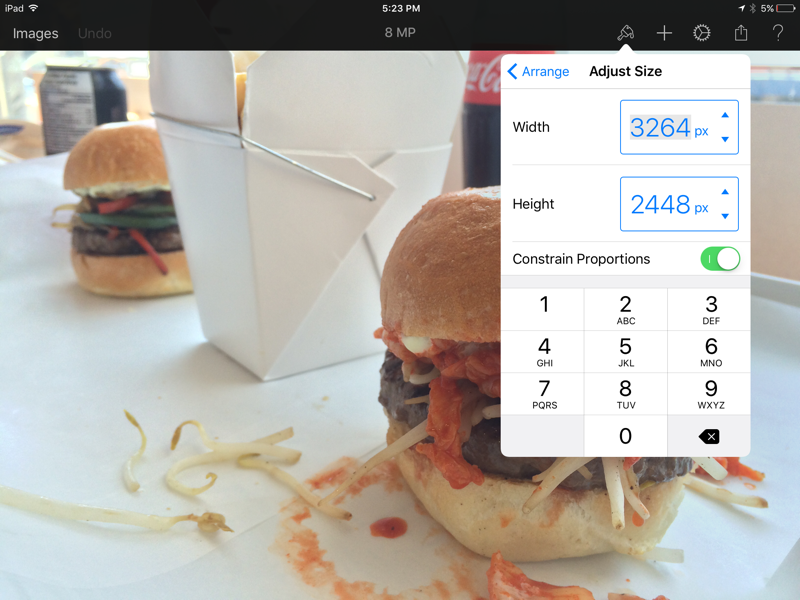 On the surface, this is already enough to change the way you use Pixelmator on an iPad Air 2. Once the WordPress app is updated to support iOS 9 multitasking, I can see myself running WordPress right alongside Pixelmator as I finish up longer reviews. 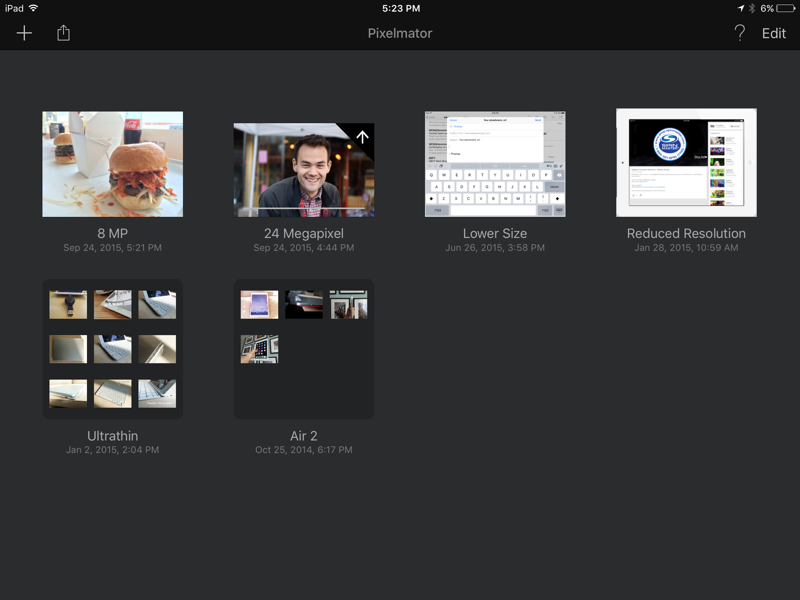 However, the larger change to my workflow comes in the form of the “Save to Photos” feature. This is a big one, folks. Previously, opening one of my photos within Pixelmator would create a copy within the app, and saving that photo to my camera roll would create another copy. I’d then have two such photos in my iCloud Photo Library — the original and the edited version. Pixelmator 2.1 changes things around by letting me save edits to the existing photo in my library. No more duplication. What’s more, these changes are non-destructive and completely reversible from within the Photos app. If I decide tomorrow that I don’t like my changes, I can edit that picture within the Photos app and tap the “Revert” button to go right back to the original. This change to Pixelmator is great because it allows third party apps to output full-resolution changes to my photos, without having to deal with any duplicates. 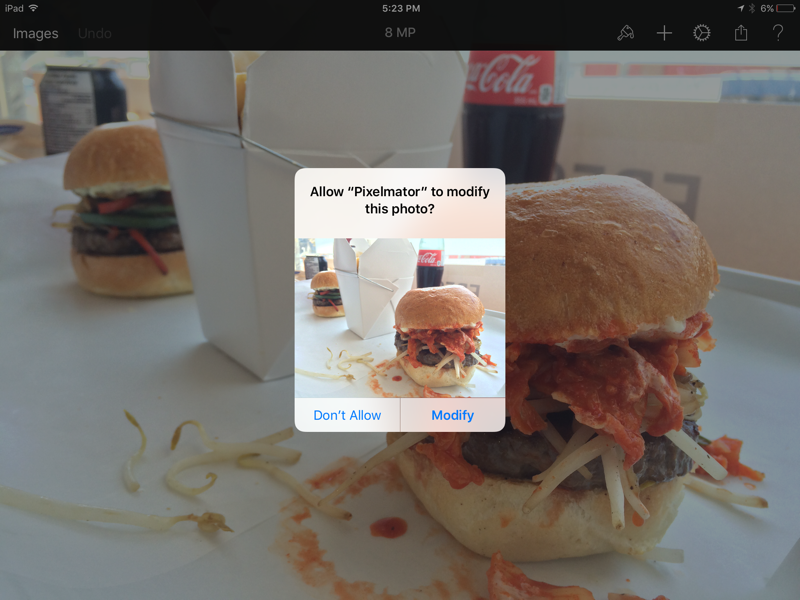 Apps like Pixelmator and VSCO Cam could always import photos before, but duplicates were always the issue. The Photos app was much improved in iOS 7, but to this day it still lacks advanced tools, like sharpening, detail, or tinting sliders. Photo Extensions in iOS 8 were a promising solution: they’d provide me with the advanced tools of third-party apps (like VSCO) right within the comfortable UI of the Photos app. Unfortunately, these extensions proved to be a disappointment. It wasn’t — and still isn’t — widely documented that extensions are heavily limited by available memory, and pictures edited with a photo extension will lower the output resolution to 2 or 3 Megapixels. I’m awaiting updates to photo editing apps before I can tell if extensions are still as limited on iOS 9. Thankfully, Photos’ built-in editing tools are enough for my needs most of the time. I don’t like fiddling too much with a photo because I’d rather be out taking more shots, but for the times when I really want to amp up a shot, I’ll throw it into Pixelmator. However, because importing a photo into Pixelmator from the home screen generates a Pixelmator (.pxm) file, this could get messy quickly. I don’t want to create a PXM file each time I edit a photo within Pixelmator. That’s a recipe for a crowded iCloud Drive. The easy answer is to keep a template PXM file and import photos as layers while the file is open. The drawback is that the canvas size is set by the very first image you import, so if I start off by editing 8 Megapixel shots (from my iPhone 5S), all of the 24 MP shots from my Sony A6000 will be cropped to 8 MP by default. Pixelmator does have controls to change canvas size, but that seems too annoying to change each time. My solution for now is to have two template files in Pixelmator: one for 8 MP shots and another for 24 MP shots. It isn’t perfect because I still have to remember which shots on my camera roll were from the iPhone or from the Sony, but at least I’m ensuring that each picture is being edited and saved at its maximum resolution.